Buy or Rent Uranium: Twisting the Dragon's Tail (2015) Movie DVD & BluRay Online! 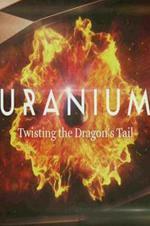 Movie Plot: Uranium – Twisting the Dragons Tail is a new documentary series exploring the incredible story of uranium, from its creation in an exploding star to its deployment in nuclear weapons, nuclear power and nuclear medicine. Its a journey across nine countries and more than a century of stories, to discover the rock that made the modern world. Its part science, part history and all epic adventure.